Andrew Selby booked a shot at the WBC flyweight title after winning his eliminator against Mexico's Maximino Flores at London's York Hall. The Welsh boxer took an unanimous 119-109, 117-111, 117-112 decision on the judges' score cards to extend his unbeaten run as a professional to 10-0. "I let him give me a few too many shots because I didn't feel he had power," Selby told Channel 5. "But I'm happy with my performance. I got carried away I think." The 28-year-old from Barry is now a step closer to joining brother, Lee, as a world champion. Selby's win over Flores is set to book a future date to face Daigo Higa, providing the Japanese successfully defends his WBC belt against Thomas Masson in Kokugikan on Sunday, 22 October. Flores went after Selby in the opening round trying to stamp his authority. While the Mexican's aggression was impressive, Selby was able to slip most of the punches thrown his way. That set the tone for the early stages of the fight, with Flores trying to bully his Welsh opponent onto the ropes but leaving himself open to some powerful counters. Selby even felt comfortable enough to indulge in a little showboating, allowing Flores to swing freely at him, but a stern rebuke from Chris Sanigar in his corner reminded his fighter to get down to business. When Flores came forward at close quarters, Selby caught the Mexican time and again with short left hooks that rattled his opponent. But despite both men landing punches and putting in some quality work, neither was able to hurt the other significantly as the fight entered its later stages although Flores had notable swelling under his right eye. Selby was hurt by a clash of heads in the 10th and turned away to dab at his eyebrow, but fortunately escaped a cut that might have put Flores back into contention. 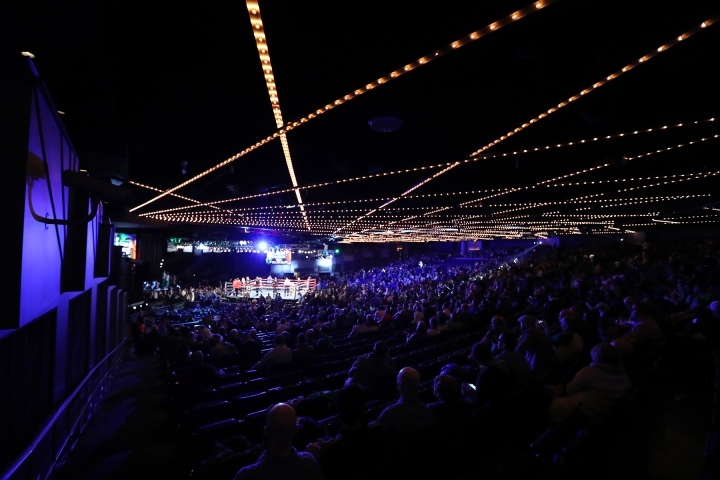 Selby continued to produce the sharper work in the final rounds and the 28-year-old from Barry deservedly won the unanimous decision from the judges. On the undercard in Bethnal Green, Luke Watkins stopped English rival Robin Dupre in the sixth round to take the vacant Commonwealth cruiserweight title. Daigo is a bad mofo. I think he's gonna be around for awhile & could win titles in a another division or two.